Living with diabetes can be challenging. A new diagnosis means understanding how to lower blood sugar levels, take oral medications or administer insulin, and cope with all of these new changes. Diabetes is a deceptive disease. Even medication and healthier eating might not prevent some of the complications that result from diabetes. High blood sugar can do damage to the blood vessels and the nerves that extend from the center of our bodies to our legs and feet, which puts people with diabetes at risk for developing foot ulcers and subsequent lower-limb amputations. It is important to learn and understand these complications so you or your caregiver can prepare in advance, have meaningful conversations with your physician, and keep your feet healthy. All of us will develop some plaque build up in our arteries—this is a natural part of the aging process. However, this development is accelerated in people living with diabetes, putting them at risk for arterial disease in the small blood vessels of the feet and toes that are furthest from the heart. According to Dr. Todd O’Brien, DPM a cardinal sign of peripheral arterial disease (PAD) is claudication, or pain and cramping in the lower legs due to insufficient blood flow. This is often experienced while walking or when more severe when at rest. Rest pain, in particular, is often noticed while laying down. There are a number of ways to assess a person’s vascular status, or how well the blood is circulating to the feet. When O’Brien performs a podiatric exam on a person with diabetes, he will do a number of simple tests. “We’ll first check their pulses on the top of the foot and side of the ankle,” said O’Brien. If the pulses are faint, that might be an indication that the blood isn’t flowing as well as it can to the foot. Other types of testing can be done to assess for blockages in the legs’ blood vessels—like non-invasive Doppler ultrasound or invasive angiograms—but another simple test is completely visual: looking for hair growth. “When we look at the skin condition, absence of hair growth might be an indicator for PAD since hair growth requires a healthy supply of blood,. While it might not be possible to completely reverse PAD, there are a number of ways people living with this complication can improve blood flow to the feet and avoid foot ulcers. “The most basic way is to increase the demand, or having the muscle ask for more blood,” said O’Brien, who recommends increasing activity level for those who can. While people with diabetes have to be careful about vigorous walking, increasing the demand for blood in the legs and feet will help the body generate new blood vessels to reach those muscles in the legs. There are some medications people with PAD can take to help open up the arteries that are clogged with plaque. These medications can only be prescribed by a physician, so it’s important to have an open discussion with your physician about these treatment options. While PAD is common in people with diabetes, it is estimated that over 50% of the same population will develop diabetic peripheral neuropathy (DPN), or nerve damage caused by chronically high sugar. Common symptoms of DPN include burning and tingling in the legs, usually noticed in bed at night. O’Brien notes that claudication pain resulting from PAD can be masked by the numbness that often comes with DPN. “If someone has a bad case of neuropathy, increased activity won’t matter,” he explains. Advanced neuropathy decreases sensitivity to pain, and people with neuropathy often visit their doctors with bruised toes or broken bones, yet have no idea how they injured themselves. High blood sugar can cause nerve damage. According to O’Brien, there are a number of ways physicians and researchers link diabetes to DPN. “One school of thought is that poor circulation causes nerves to degenerate,” he notes However, another popular theory is that as the body breaks down sugar, the byproducts stress the nerves and expose them to harmful free radicals, or unstable chemical compounds. At the end of the day, it is hard to say what specifically causes DPN. O’Brien suggests it is most likely a combination of these processes. Podiatrists will perform a number of neurological tests to assess for DPN. Neurological testing isn’t just about testing the brain, such as after a concussion—it also involves testing the nerves that extend from the brain and spinal cord to other areas of the body, like the feet. 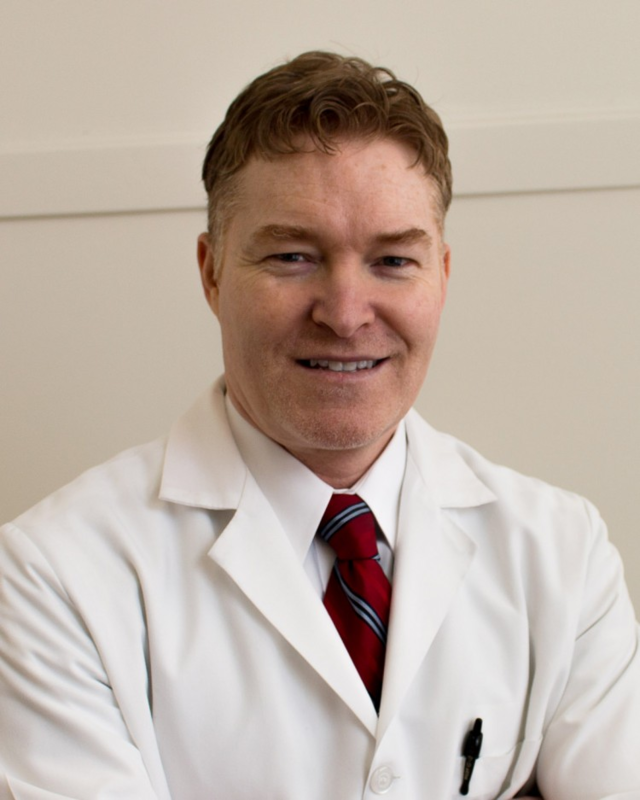 Dr. O’Brien will perform a Semmes Weinstein monofilament test, which involves applying small amounts of pressure to discrete locations on the bottom of the foot using hair-thin strips. “I’ll ask a patient if they can feel the monofilament. If they don’t feel pressure, that is a sign they have lost their protective sensation.” And it is in this loss of pain and pressure sensation that leads to an elevated risk for foot ulcers. Dr. O’Brien will also perform some other simple tests to test for dull and sharp sensation. To test for large fiber neuropathy, or nerve damage of the larger nerves that run from the spinal cord to the feet, he’ll perform vibration testing on the top of the great toe. Dr. O’Brien has developed a tuning fork to detect how sensitive his patients are to specific vibration frequencies, which can be used to assess how profound a person’s neuropathy is. Some other simple tests include checking ankle reflexes and muscle strength, since nerves are important in reflexes and muscle movement. Testing muscle strength is especially important. “If I see foot drop, that means the person’s muscles in the front of the lower leg are weak,” O’Brien asserts. The person will end up dragging their feet, which can increase the risk for a fall. While there isn’t a formal cure for DPN, there are a number of medications people can take specifically for pain. Because neuropathy involves the nervous system, there are some anti-depressant and anti-epileptic drugs commonly used to treat pain associated with DPN. According to O’Brien, researchers are currently exploring newer approaches to treating DPN, including Vitamin B derivatives and an antioxidant supplement called alpha-lipoic acid. “There is some hope that with good control of sugar, these antioxidants might be part of the solution,” he remarks. People living with PAD, DPN, or both have a higher risk of developing foot ulcers over the course of their lives. Small fissures, or cuts, on the bottom of the foot can turn into full-blown ulcers, especially if there is insufficient blood-flow or sensory loss in the feet. However, Dr. O’Brien recommends people with diabetes, regardless of their relative risk for foot ulceration, wear comfortable shoes at all times, check the bottom surfaces of the feet and in between the toes every day, and practice good skin care by washing the feet and keeping them soft and dry. Managing diabetes is not easy, but with extra diligence and an established routine, people living with diabetes can take control of their diagnosis and live a healthy and full life.